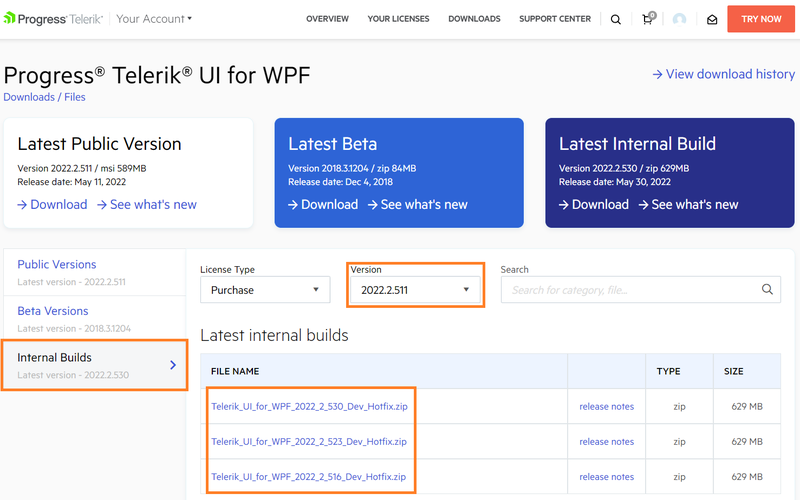 The Latest Internal Build (LIB) is a weekly distribution of the UI for WPF assemblies, built against the latest development environment. It contains all the newest bug fixes. And it is released on a weekly basis. Click on the Latest internal build button. This will download an archive with the UI for WPF assemblies.